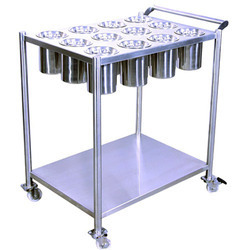 Prominent & Leading Manufacturer from New Delhi, we offer pot rack, utility trolley, stainless steel trolley, masala trolley, trolley and ss pot rack. 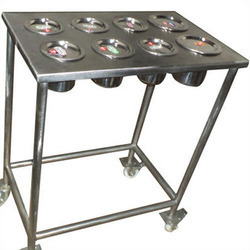 With the help of our professionals, we have been able to offer our clients a qualitative range of Pot Rack. 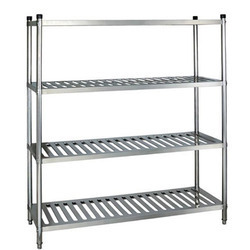 The offered rack is efficiently manufactured by our professionals using premium quality raw material procures from the trustworthy vendors of the market. Moreover, our clients can avail this rack from us in various dimensions and sizes at very reasonable rates within promised time frame. Aahar Kitchen Equipment offering a wide range of Utility Trolley. 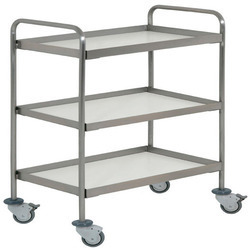 Our offered trolley is broadly used to carry items and material from one place to another place in several industries. Our offered products are highly in demand for their unmatched quality. 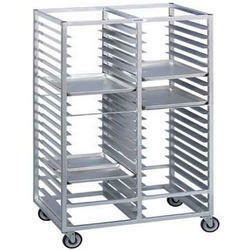 Stainless Steel Trolley offered by us are duly tested by our experts on various quality parameter before final dispatch. 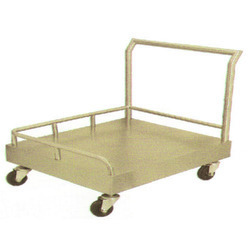 Our Stainless Steel Trolley is sturdily constructed according to the desires of our customers. 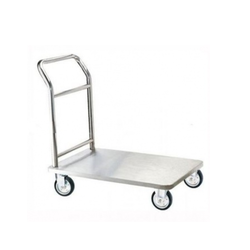 Moreover, this Stainless Steel Trolley is easy to move and simple to control. By keeping track of the latest market developments, we are actively involved in manufacturing, trading and supplying a broad range of Masala Trolley. The offered trolley is manufactured using premium quality raw material and latest technology. Our team of adept professionals closely inspects this trolley in order to eradicate all kind of flaws. Moreover, clients can avail this trolley at an affordable price. 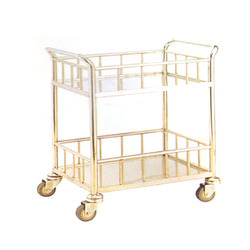 Our company is among the most sought after offering Trolley to the clients. The trolley is known for dimensional accuracy, perfect finish, rigid construction, resistance against corrosion and strength. 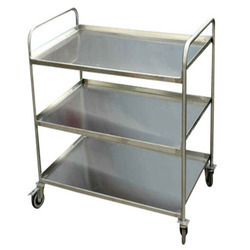 We are instrumental in providing our clients a comprehensive range of Tray Trolley. we are offering a wide range of SS Pot Rack which is manufactured as per the demands and requirements of the clients. This Pot Rack is available in various sizes and designs. To store different types of cooking items and kitchen utensils, these steel pot racks, and Pot Racks are provided with a vertical design and 4 shelves. Our Pot Racks are light weight and easy to install. We are offering wide range of Kitchen Tray Rack. which is manufactured using high grade steel for maximum durability. Our range comprises tall storage units, which enable user to arrange different types of kitchen utensils in an orderly manner. 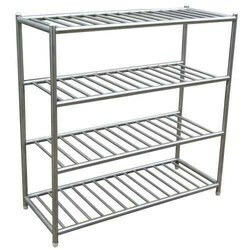 These racks are widely used in homes, restaurants, and hotels. Owing to the expertise of our skilled and experienced professionals, we are able to offer an extensive range of premium quality Tray Rack which is manufactured according to set industry standards. 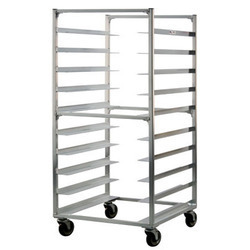 The offered rack is manufactured from superior grade raw material with the help of advanced technology. Further, this rack is checked by our quality controllers on well-defined parameters in order to ensure its quality. We are offering a wide range of Masala Trolley. The offered product is widely used for transporting various food items. The offered products are known for their light weight, spacious compartment, easy to handle, and minimum maintenance. We are engaged in providing Platform Trolley that is manufactured by our experts having wide industry-experience and knowledge in this domain. 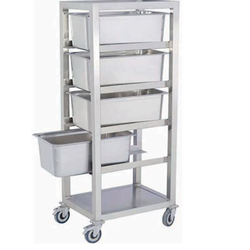 We are engaged in manufacturing, trading and supplying a super quality Food Trolley which can satisfy the demands of our client. Furthermore, our quality experts test this trolley on certain parameters to ensure its flawlessness.